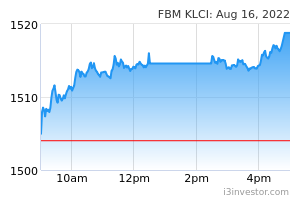 KUALA LUMPUR: Kenanga Research has upgraded Telekom Malaysia Bhd (TM) to “Market Perform” with a higher target price (TP) of RM3.10 from RM2.50, following a plan by TM to adopt a more active asset management stance to strengthen its balance sheet. In a note today, the research house said it was positive on the plan as it could address the current low yield of its non-core properties. “All in, we maintain financial year 19-20 estimates (FY19-20E) earnings but raised the stock to ‘market perform’ with higher discounted cash flow-derived target price of RM3.10 in view of better cash management ahead,” it said. Kenanga Research said while it made no changes to its FY19-20E earnings, for now, pending the outcome of the tender process, it believed TM was on the right track to enhance operational efficiency and strengthen its balance sheet via active asset management. TM has published a tender notice recently for 20- storey TM Annexe 1 and 33-storey Annex 2, which are located next to Menara TM, and planned to close the submission on March 29, 2019. 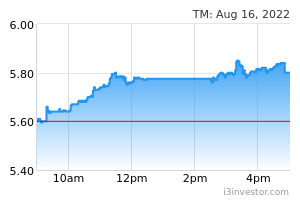 At 10.16 am, TM’s share eased one sen to RM3.21, with 106,200 shares changing hands. BN_better RM 5 wait GE15 or BN back as govn? bahai4453 TP is below current price ?? sleeping research.